London: Google Street View has the potential to estimate how common cycling is in cities, and potentially other travel patterns too, a study has found. The analysis of 2,000 Google Street View images from 1,000 random locations in each of 34 cities in the UK found strong agreement with data on cycling, and public transport and motorbike use, said researchers from the University of Cambridge in the UK. The World Health Organization (WHO) has estimated that physical inactivity claims up to 3.2 million premature deaths across the world including 2.6 million in low- and middle-income countries, they said. Increasing active transport, such as cycling or walking, is one way to improve physical activity levels in a population, according to the researchers. Recently researchers have turned to big data sources to estimate walking, cycling, and other travel patterns in cities. The new study, published in the journal PLOS ONE, explored for the first time the potential of using Google Street View images to predict travel patterns at the city level. Google Street View is the service provided within Google Maps through which users can navigate through the panoramic imagery of the streets. The researchers selected a random sample of 34 British cities. They accessed 2,000 images in each city from 1,000 randomly sampled locations, and counted the number of pedestrians, parked cycles, cyclists, motorcycles, cars, buses and vans/trucks in each image. The Google Street View data was compared with levels of walking, cycling and other travel modes as reported in the 2011 Census. It was also compared with cycling and walking data from 2010 to 2012 in the Active People Survey, an annual physical activity survey in England. 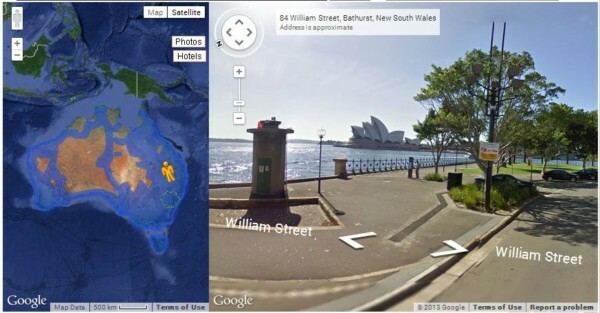 Using images recorded from 2010 to 2012, they ensured that the observations of Google Street View images and comparison datasets belonged to the same period. The researchers found strong correlation between the Google Street View observations and levels of cycling, and public transport and motorbike use as reported by Census and the Active People Survey, with moderate level of correlation for walking. They also found promising results from a pilot analysis on the ability to predict the gender distribution of cyclists. Google Street View has been widely used by researchers to map the built environment such as road infrastructure and green cover. This is the first time Google Street View has been used to estimate travel patterns across several different transport modes. Google Street View is available in at least 90 countries covering a range of low- and middle-income settings and all continents. Over time more countries are expected to be included, researchers said. This opens multiple exciting opportunities to estimate levels of cycling, and potentially other transport modes, across thousands of cities worldwide. Google Street View data has the potential to complement both traditional data such as censuses, and other new big data sources such as smartphone apps.